Market expert Toni Turner and neuroscientist Diane Alexander have developed an innovative new program that will change your life . . .
Start Trading Like a Master Now! Afraid of losing money in the market? Tired of taking course after course on investing tactics . . . and nothing changes? Worn out from the anxiety of a volatile market? Stressed-out from not knowing what to do next? Well, guess what? It doesn't have to be like that . . . Imagine how it would feel if you . . . Became more motivated, more decisive, and confident . . .
What if I said you could supercharge your brain, master your thinking and begin trading like a pro? The thinking/doing portion of your brain is divided into four major segments, and . . .
97% of the people on Earth use only a small portion of these segments (think: available brain power) to approach every situation in their lives--including the stock market. Limiting, right? Now . . . you can discover how to access the incredible untapped resources in your brain . . . and then learn how to apply these fresh, new, ultra-powerful insights to your trading and investing process . . .
And we’ll show you how! After all, it makes perfect sense . . . every thought, every feeling, and every action you take all day, every day, begins in your brain. And research shows that you are probably using only a limited part of your brain to make important decisions in the financial markets—decisions that affect every part of your life. That’s like asking a fighter pilot to fly into a dogfight with one arm tied behind his or her back. Dangerous, very dangerous. Now, imagine this . . . What would it be like to approach the stock market using a bigger chunk of your brain’s power? What if you could gain more access to the untapped resources in that brilliant, three-pound organ behind your forehead? (Yes, you are brilliant. Your brain processes information at about 268 mph… it’s much faster and smarter than a supercomputer.) Can you imagine how much muscle that would add to your trading and investing success? Well, here’s the good news . . . with our revolutionary new online program, you can discover how to move into the stock market (and your life) using more of your brain’s power—all of the time. Now that’s limitless! In this brand-new, cutting-edge, online program, best-selling financial author, Toni Turner, and neuroscientist, Diane Alexander, use their combined knowledge and skills to show you how to ramp-up your brain’s power . . . so that when you are trading and investing, you make the best-possible choices and reach the highest levels of profitability. Who will benefit . . . If you are serious about achieving your financial targets . . . if you are committed to taking consistent gains from the stock market . . . and if you are determined to make your life a financial success, then Trade Like a Master will speed you on the road to those goals, so you can reach them faster, and more easily. How you will benefit . . .
Why you will benefit . . . Fact: When you change your thinking, you change your life. Trade Like a Master will help you change your thinking when you are trading and investing. Result? You’ll think with more clarity, become more flexible (mental flexibility is key to market success), and make more profitable decisions. Plus, armed with Toni and Diane’s brain-based tools and strategies, you will be able to energize your thoughts, so you will be more likely to spot opportunities other investors will miss. Bottom line: In both bull and bear markets . . . you’ll be able to minimize your losses and maximize your gains . . . now and always. And here’s another sweet benefit . . . Remember, above, when we talked about reading books, and taking courses . . . and nothing much changed? Well, now . . . that will change. With the advanced thinking abilities you’ll develop with Trade Like a Master, you will learn new information quickly and easily and you’ll be able to take action with more confidence. Did you know that your brain started to age when you were in your twenties? Think of a “slow leak” that gradually reduces your brain’s speed and resourcefulness . . . a “leak” that limits your trading and investing edge. In this program, using recent scientific discoveries, Diane will reveal easy and practical steps you can take to halt and even reverse the brain’s aging process. Now that’s a benefit you can take to the bank. 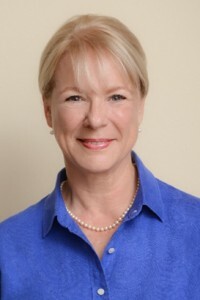 Toni Turner is a best-selling financial author and stock market expert . . .
Toni Turner, President of Trendstar Trading Group, LLC, is an accomplished technical analyst as well as a popular educator and sought-after speaker in the financial arena for the past 20 years. Toni is the author of the bestselling books: A Beginner’s Guide to Day Trading Online, 2nd Ed., A Beginner’s Guide to Short-term Trading, 2nd Ed., Short-Term Trading in the New Stock Market, and Invest to Win: Earn & Keep Profits in Bull and Bear Markets with the GainsMaster Approach, co-authored with Gordon Scott CMT. Her books have been translated into six languages and used as textbooks in college personal finance classes. Toni has appeared on CNBC, CNN, NBC, MSNBC, and FOX Business News. 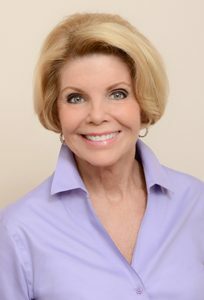 She has been interviewed on dozens of radio programs and featured in periodicals such as Fortune, Stocks and Commodities, SFO, Fidelity Active Trader, and Bloomberg Personal Finance and many online publications, such as TradingMarkets.com, Equities.com, The Street’s RealMoneyPro and MarketWatch.com. She is currently a contributor at Weiss Educational Services. She speaks regularly at financial forums and conferences across the United States, including college campuses, Traders’ Expos, and Money Shows. Diane Alexander’s graduate work included neuroscience, psychology, and business . . .
Diane is President of The MindWorks, an international organization dedicated to helping people learn to use more of their brain’s potential. Diane translates the latest scientific research about the brain into practical and easy-to-learn techniques empowering individuals to use their mental hardware and software more effectively. Diane has been lecturing, writing and teaching for over 25 years. She brings a wealth of education and real life experience to her audience. She has a BS degree in Education, a Masters in Psychology, an MBA and extensive postgraduate work in neuroscience and neurolinguistics. Her captivating presentation style has made her an international speaker, consultant and author. She has appeared regularly on the CMH Fox News, is writer of “The Executive Brain” for Business First and her book Break-Out Creativity has been required reading for many major corporations. Her client list includes such organizations as Goldman Sachs, Chase Bank, Honda of America, and Johnson & Johnson. Four Recorded Online Sessions with Toni and Diane include . . . Using your Personalized Brain Profile, learn how your brain works. Next, build your own custom brain-based Trading Profile. Finally, develop clarity on what you want to achieve and why, with our Whole Brain Planning System. Using the latest scientific advances, Diane will show you how to upgrade your brain to the next level of mastery. You’ll also learn how to power-up your trading results by filling your brain gaps with new neuro-connectors for faster and more successful results. And, during market downturns, you will find out how to move from an anxious mindset . . . to a calm and focused mindset, so you can make the best choices. Discover how to use your brain’s incredible power to leverage your market knowledge. Learn the secrets of how to actually change your brain’s physiology and engage more of your brain’s power for higher trading performance. Prior to this session, you will complete an online form. You will then receive by email, your personalized HBDI (Hermann Brain Dominance Instrument) Brain Profile Assessment. This customized assessment, used by 97% of the Fortune 500 companies, will provide you with an in-depth understanding of your brain’s thinking method, decision- making process and trading style. Based on your personal brain data, it will show you your strengths and “soft spots” in your thinking style, and how to successfully acquire new skills and use your brain for increased trading profits. Learn how your brain works: Toni and Diane will walk you through your personal HBDI brain profile. You will gain a thorough understanding of how your brain is currently “wired,” what your brain preferences are, and the implications of those preferences in your life. Create your custom trading profile. 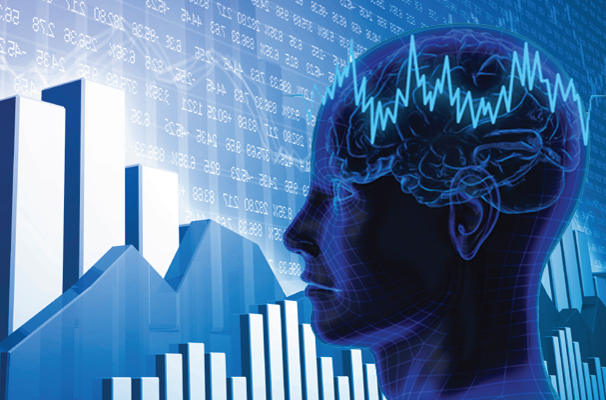 First take an “inside look” at how your brain operates in the trading process. Learn how to focus on those brain areas that will provide you with the greatest leverage for improving your gains. Develop clarity on WHAT you want to achieve and WHY with our Whole Brain Planning System. This step increases your ability to take the necessary action to achieve exactly what you desire. Armed with the valuable knowledge you discovered about yourself in Session 1, you can now learn how to “flex” your brain into new ways of thinking to adapt to the market moves and thus earn higher profits. Why using our “Four-Quadrant Whole-Brain” Approach helps you earn the biggest financial gains. How using our “Quadrant A Brain Gains” revs-up your knowledge base and reduces market stress. How our big-picture “Quadrant D Brain Gains” keep you on the right side of the market . . . now and into the future. Now that you have a thorough understanding of how your brain is wired and how to trade and invest more confidently, you’ll discover . . .
How your brain is wired for change – and what it needs for change. Upgrades are needed for you to shift to the next level of mastery. We show you how to make that change possible. Critical brain factors and step-by-step strategies to move ahead quickly on the road to success in the market—and your life. How to power-up your trading results by filling your brain gaps with new neuro-connectors for faster and more comprehensive results. Once you discover that your brain can actually change itself, resulting in the ability to produce new skills and abilities, you will gain access to powerful new tools to make that process as seamless and effortless as possible. Create your peak performance state in trading using our “Boost Your Bandwidth” downloadable MP4 sound track. Learn how to change your brain’s physiology and engage more of your brain for higher trading performance. Pull it all together . . . With the completion of your personal Action Plan, you are now positioned to immediately take action on your new financial goals! You'll also receive these valuable bonuses! "Trade Like a Master is an outstanding course if you want to enhance your decision making skills both in trading and in life. This course has helped me to become a much better trader and investor by helping me to understand how to maximize all the parts of my brain during trade decisions. There is an impact of being unaware of the biases your brain holds including which parts of your brain you are either overusing or not using at all during investing decisions. With Toni and Diane's course, I now have a greater understanding of my brain's default functioning and can now build more rational and comprehensive rules based strategies during set-ups for executing trades. I'm using this information to benefit me both in my work and my personal life. Great course!" "I finished the [Trade Like a Master: Supercharge Your Brain] videos and just wanted to pass along my feedback. I thought the course was great! Very good content and well-priced. Everything we learned was very practical and I feel like it's going to help me fill in some missing pieces in my trading." As the saying goes, “If you continue to think what you’ve always thought, you’ll continue to get what you’ve always got.” So, if you want to keep on getting the same results in the stock market (and in your life) that you’ve always gotten, then this program is not for you. But if you want to earn bigger profits in the stock market—and enjoy doing it—then this program will transform your life. And, with your expanded insights, you should be able to earn back the cost of this program quickly and easily. When you order by clicking the button below, you'll receive instant-access to Trade Like a Master - Supercharge Your Brain For Maximum Profits recorded online training course. No waiting for a shipment... no worries about finding time to watch it...you can view all this valuable training in just a few short minutes from now as often as you'd like.